> GRcade events: Join the action! Post> GRcade events: Join the action! In GRcade we run a number of events designed to bring delight into the lives of all GRcadians. The aim of this thread is to shine a light on current and upcoming events so that you can join in and have fun. Please click on a link to find out more about the current activities... and post here if something new will be arriving soon . Last edited by jawafour on Sat Sep 22, 2018 12:48 pm, edited 6 times in total. PostRe: > GRcade events: Join the action! Don't forget that Jazzem is streaming Snake Pass and TWA is planning on streaming DArk Souls 2 soon too. Yeah, I will be starting them again, but on my own channel. The GRcade channel is dead. Pedz wrote: Yeah, I will be starting them again, but on my own channel. The GRcade channel is dead. It is, and for now I think we should leave it that way. However can I have exports of your stream for our YouTube channel. I have been thinking and I think us youtubing and view would be easier to manage as you don't have the restriction of the person being available at a set time each week they can record whenever and then we can share as it is available. It's a shame as I loved tuning in to the GRcade streams, and taking part. Anyway, I intend to upload the videos to both mine and GRcade's youtube channel AND continue with writing a little piece on GRview. Is there any way the GRcade YouTube can just 'point at' all the members' YouTubes, rather than needing to be its own account? It already links to member channels, afaik you can't do more than that. Not to derail the thread, but we do have a Video Content discussion thread in the Feedback forum. Personally I don't have the time to spend on things that I did a year or so ago, which is why beyond AYAMM and the E3 videos I've not had anything to contribute. I still think having our own YT and Twitch channels is a good idea, but we need regular contributors and streamers to make it work. For what it's worth I am interested to get back to doing videos again. Specifically AYAMM starts back on Sunday and I'm considering reviving ARcade Attacks after that has run it's course. Karl wrote: Is there any way the GRcade YouTube can just 'point at' all the members' YouTubes, rather than needing to be its own account? The point of the channel ultimatly is to potentially create another revenue stream, so really we need to build our own content on the channel which we can add in ads etc. for make moolar, just pointing elsewhere wouldn't achieve that and so would be work for nothing. Right now we wont make anything as there isn't much content, but by building it up a bit and getting some series stuff going it should become an option over time. Espcially if we use it hand in hand with View as a play through series could have a corrisponding article run as a written verison of what happened and reviews of that section kind of thing. I really need to sit and come up with a more rounded plan for the whole thing as the adoc way right now doesn't really work, but I want to keep it open to all to "join in" and not force people into deadlines and "you will stream every thursday at 9" sort of thing, whilst still having a regular feed to stuff going public for us to shout about and for people to watch outside of just ourselves. Kind of extend the brand a bit and create multiple ways that people can discover GRcade. 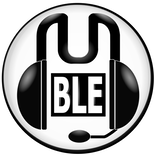 We have had people check out and join the forum from the Twitch streams too. Errkal wrote: Espcially if we use it hand in hand with View as a play through series could have a corrisponding article run as a written verison of what happened and reviews of that section kind of thing. We had that when myself and Pedz were able to regularly contribute material. I lost a lot of the time I had to spend on stuff and Pedz has apparently moved back to his own channel due to lack of viewers. We need a broader mix of people willing to spend time streaming and making YT content as two/three people just isn't enough. EDIT: I really think we should move to the proper thread for this. Agreed, let's move over to the video thread for the rest of this discussion. > At 21:00 we welcome the launch of Splat Wednesday as a new GRcade event! > Start splatting your mates every Wednesday by playing Splatoon 2 with your fellow GRcadians! > Click here to view the official Splat Wednesday thread and discover how you can join the play and chat! * It's not totes new as it has run quietly for a little while. But, hey, this formalises the event! > BRcade is blowing up! GRcadians are fighting for victory in Orange Rakoon's battle royale contest! > Yakuza action! See Jazzem fight out on the streets on Wedensday evening! Just click here to view the opening post and access links to all GRcade events. BID0 has launched Forza Fridays right now! Every Friday from 20:00 to 22:00 (UK), join BID0 and other GRcadians for Forza Fun! Click here to find out how you can roar out onto the tarmac! Opening post updated with these event details. I've updated the opening post to include the new Game Streamers initiative and the re-launched Retro Club Weekender. Game Streamers brings GRcade streamers to your attention; perhaps you didn't know just who streams and when? Discover new channels to watch and join in with! Retro Club Weekender is back! It's a friendly place to share pics and talk about your game collection. Really useful! You should see me Mondays, Tuesdays, Wednesday and Fridays (when Horizon 4 comes out). Interested in doing some streaming myself... Not sure how to get into it though lol.